DO YOU KNOW HOW TO SPEND YOUR MONEY? If you feel you do not have enough money well welcome to student life, you hardly ever have enough money for all the things you want and yet you still have a way of getting it because you are a student and you have to be taken care of. Students spend over R40 billion per year and if you are a student you should be happy for having a share of this much money and if you are not then you better start asking yourself where your money is going to. Which brings us now to the question; Do you know how to spend the money you get? Do you do a list of your needs and wants or you just go out there and buy what you think you need without checking which is more important because more times than one you are sure to forget the most important stuff if you do not jot them down. Money is a big part of a student’s life and simply put one can never have enough of it and that is why Student Brands has put together their latest magazine issue with the title ‘Money Matters’ – this magazine includes all you need to know about spending your money, saving your money and even how important it is to start investing in your future right now. Another big issue which has a lot of students confused is the option of choosing a bank account to suit their needs it is never easy to know which bank to go for so we bring you the best option by far which is a bank that is student friendly and not forgetting, with so many apps available for almost anything these days, we pick our top (free, of course!) money apps. And while on the subject of free – we explore the relevance of a free market economy in our democracy. 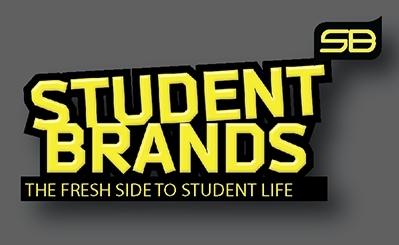 Student Brands is for the student and as much as students matter to us, money matters to all of us so how you spend it will also determine your future as well.